One of the many bands that I’ve been putting off listening to (I shamefully admit) is the late great, Arcade Fire. Not that I’ve never heard any of their songs, it’s just that I never had the chance to fully delve in and roam around in their outstanding musical portfolio. One thing that the band is very well known for is how their music always manages to come off superior and saturated with colossal vibes along with a striking grandiose sound. It’s anthemic music with slight orchestra reverberations that’s quick to surround you and is commanding of your attention; and most of all, it’s truly an amazing brand of Indie rock – from the way I see it. 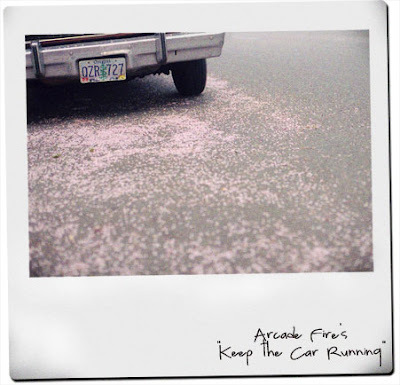 Arcade Fire’s ‘Keep the Car Running’ sounds pretty familiar; in fact it’s too familiar that whenever I’m listening to it on the go, it seems eerily attuned to my surroundings. People all around are creepily choreographed and synchronized to every beat and note of the tune, it got me thinking; maybe it was how the song was perfectly constructed - to suit the whole ‘rush hour’ scene. Photo by Noele Lusano. Go to her site.